In warm weather, people leave windows and doors open for ventilation. 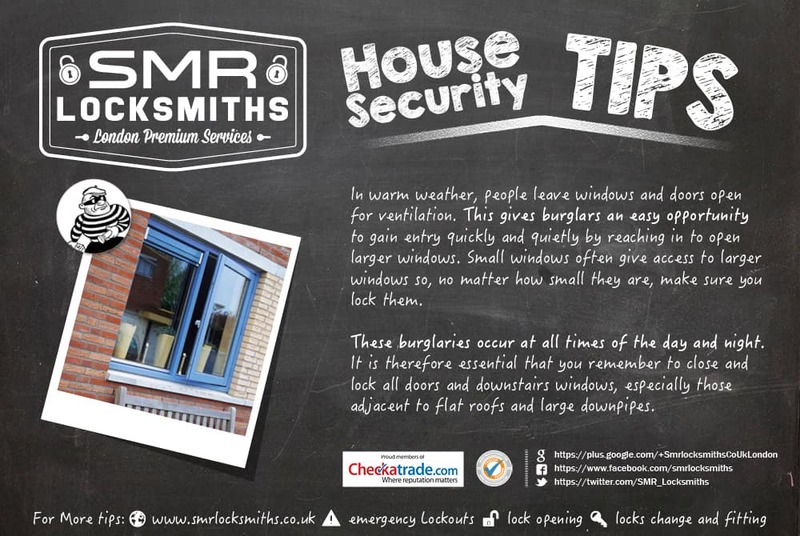 This gives burglars an easy opportunity to gain entry quickly and quietly by reaching in to open larger windows. Small windows often give access to larger windows so, no matter how small they are, make sure you lock them. These burglaries occur at all times of the day and night. It is therefore essential that you remember to close and lock all doors and downstairs windows, especially those adjacent to flat roofs and large downpipes.